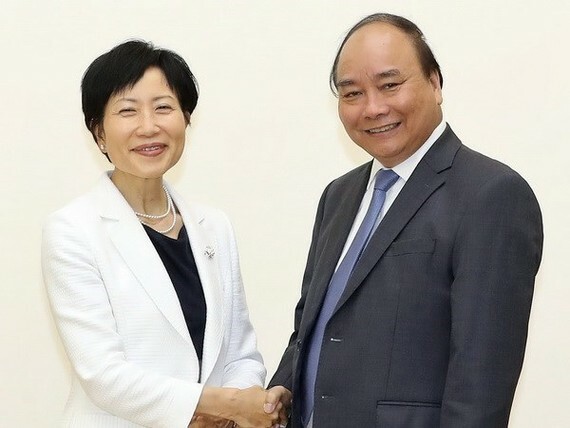 Vietnam wants the Global Environment Fund (GEF) to continue helping Vietnam in well addressing environment-related issues, Prime Minister Nguyen Xuan Phuc said during his reception for GEF CEO and Chairperson Naoko Ishii in Hanoi on May 30. He thanked the GEF Secretariat for selecting Vietnam as the host of the GEF’s sixth Assembly, which, he said, showed the fund’s appreciation of Vietnam and the country’s role, contributions and commitments to joining hands with the international community to solve global environment issues. Vietnam attaches importance to environment issues in national development, the PM affirmed, adding the country hopes to intensify cooperation with GEF. Regarding the organisation of GEF Assembly and related events, the government leader told the guest that he had assigned the Ministry of Natural Resources and Environment to coordinate with GEF in preparation work. 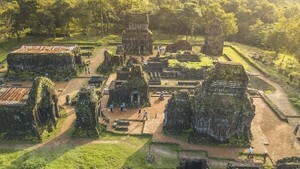 He also expressed his hope that GEF maintains its assistance for Vietnam, especially in realising environment-related targets and Sustainable Development Goals, building sustainable financial policies and mechanisms to preserve biodiversity through the involvement of the community and the private sector, and transferring technology related to sustainable energy, and implementing measures to deal with climate change. Vietnam also wishes to receive GEF’s help in implementing forest ecosystem and production services, ensuring food security at the local level in the context of implementing the United Nations Convention to Combat Desertification, and boosting green economy opportunities. The Government leader said he hopes GEF will implement projects to help Vietnam tackle ocean waste and address climate change and sea level rise challenges in the Mekong Delta. Nakao Ishii said that GEF needs cooperation from foreign governments and businesses around the world in addressing global environmental issues. She appreciated that Vietnam is seeing positive changes in tackling environmental issues, but still facing a number of challenges. GEF commits to supporting Vietnam in addressing these challenges, she stated, stressing the important role of the Vietnamese Government, Prime Minister and Ministry of Natural Resources and Environment in the work.